It is hard to say which toy I love most from this brilliant brand. They have a musical soft toy that will lull your junior Jedi to sleep with the Star Wars theme, a monster that lives in your pocket, plus many more beautiful handmade creations. Come take a look! Traditionally, monsters are scary, but a monster in your pocket makes for a powerful (and cuddly) pal. 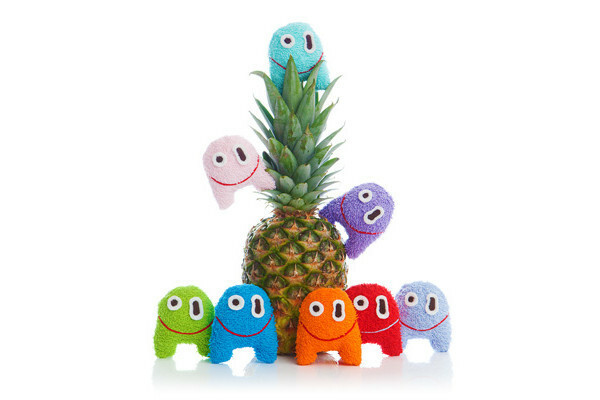 These gorgeous wee monsters by Goodies of Desire can fit in your child’s hand or pocket and travel anywhere with them. Great for squeezing if kids suffer from anxiety or stress. We all know that sometimes it seems like sleep is in a galaxy far, far away. Goodies of Desire can help with a soft musical toy that plays the theme from Star Wars. Or the theme from Forrest Gump, or Amelie. Such a wonderful gift for any movie buff parents like myself and a welcome change from the usual lullabies. 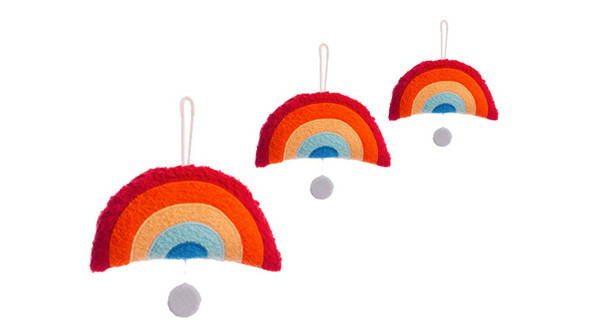 The soft musical toys come in a range of designs including quirky monsters, clowns, stars, and this gorgeous rainbow (above) that can play Somewhere Over the Rainbow. Dreamy! There are many more delightful soft toy designs to be found at Goodies of Desire. All their products are handmade in Germany from harmless, baby-friendly textiles. All pieces are pre-washed several times so they are ready to be cuddled straight away. They will also personalise any product with your baby’s name or initials to create a special gift worth treasuring. Goodies of Desire do not ship regularly to Australia but you can still order via their online store by emailing them direct.